From the Botswana border, we went across the Zambezi by ferry, and entered the chaotic border of Zambia. Once we had our passports stamped, and got passed all the people and trucks, we headed for our next stop over: Kubu Cabins, a lovely lush camp spot right on the bank of the Zambezi river, under some big trees. blogs. 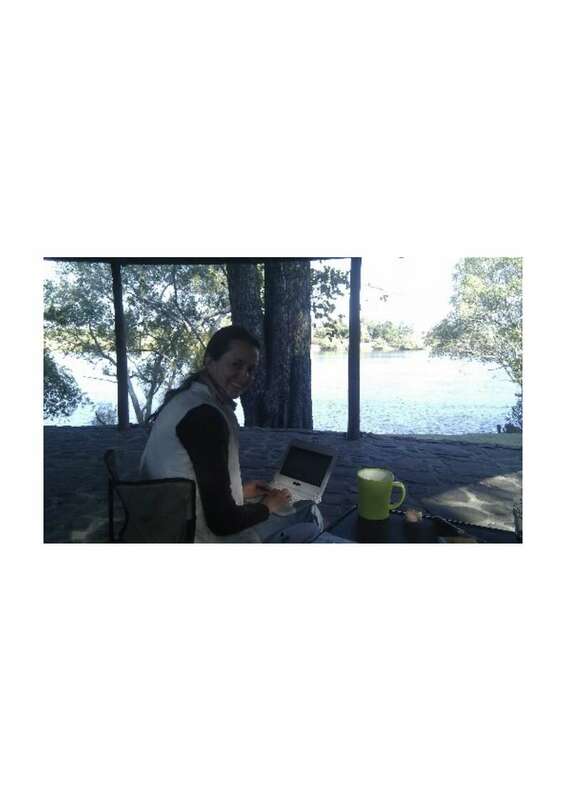 Even more fun, was connecting it to the net that evening to update our blog, with the sounds of the hippos grunting and munching the grass nearby, and a pair of pearl spotted owls calling each other overhead. The next day after a really chilly night in the tent, we headed off early to have breakfast in Livingstone, and connect to some wifi. Even though we are on a tight time schedule for the expedition, Jane and I were delighted to be dropped off at the Victoria Falls for a quick sightseeing moment, while Dion went into town for a short meeting and to sort out his (semi-smart) blackberry . The Falls – aka Mosi-oa-Tunya or the Cloud that Thunders – is a place to experience! Jane and I managed to catch some rainbows, and get a refreshing soak in the spray from the up to 3000 tons per second of water that fall down the 108 metre drop of the Falls. After many more hours dodging potholes and passing trucks, we arrived later afternoon in the rush hour of Lusaka, and crawled through the centre of town traffic to the flat that will be our home base for the Expedition. 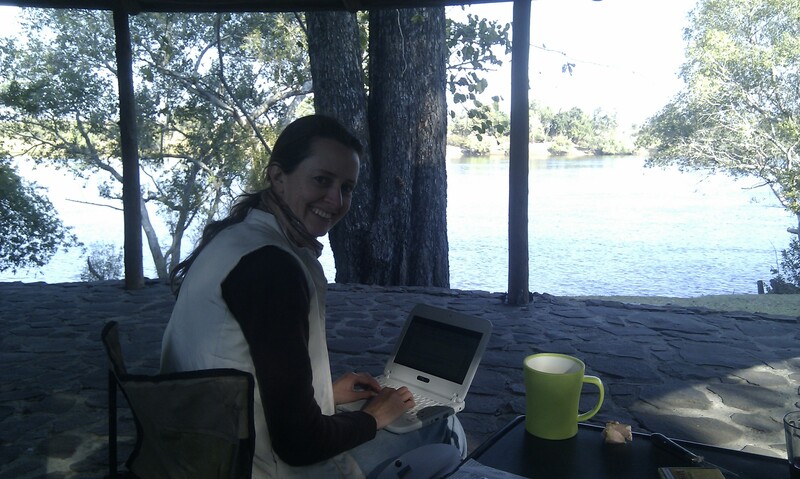 This entry was posted in Palace Expedition and tagged intel classmate notebook, livingstone, victoria falls by CA. Bookmark the permalink.